Lamar County community members and Keep Paris Beautiful (KPB) board members are hosting this year’s annual E-cycle and Tree Giveaway this Saturday. The event will be held from 8:00 a.m. until 12:00 p.m. in the North side parking lot of the Lamar County Courthouse on 119 N. Main St in Paris and is free and open to the public. Members of the Keep Paris Beautiful program are dedicated to doing just that, keeping our home of Paris Texas beautiful. The Texas A&M Forestry Service has provided KPB with approximately 1,000 seedlings of pecan, oak, and other various types of trees for this event. 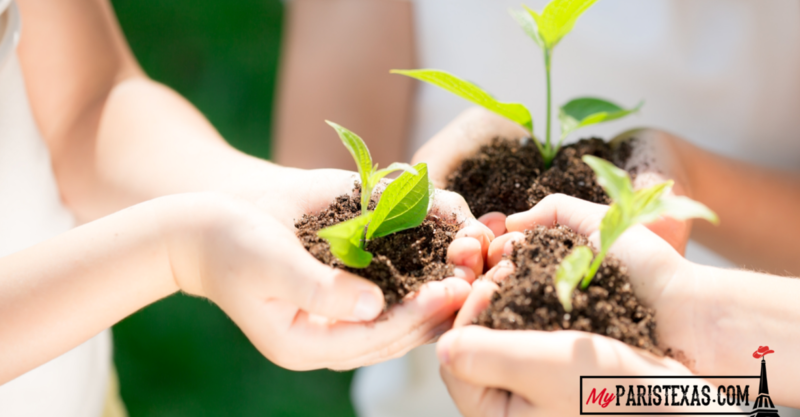 These seedlings are two to three feet in height and will be distributed to community members interested in taking part in planting trees to bring more life and beauty to our community. There will also be an electronic recycling area available for members of our community who would like to recycle old electronic devices, the recycling is through Keystone Recycling. “Laptops, monitors, even toasters are all eligible items, but they don’t take anything with cooling systems like refrigerators, and they don’t take tanning beds,” says Tally. Donations can be made through the Lamar County Chamber of Commerce to further Beautify Paris, Texas.